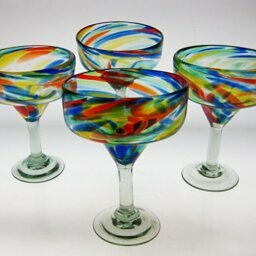 Mexican margarita glasses individually hand-blown with lead free recycled glass with a festive touch. 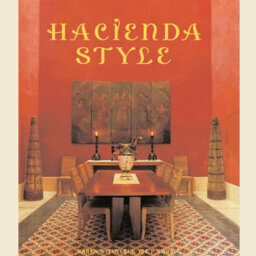 Great for margarita party! 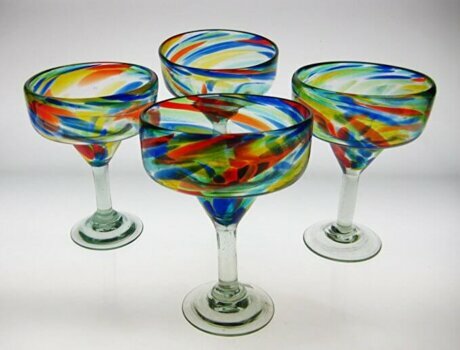 Each glass will vary slightly as a result of being individually mouth-blown. Confetti swirl colors may vary. Dishwasher safe. Not for hot beverages. Mexican confetti swirl glass holds around 15 oz. 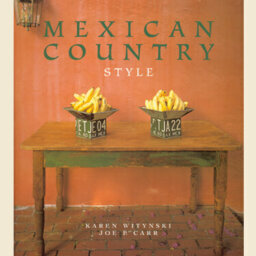 Every day is a fiesta whether serving margaritas or ice cream (makes a great desert dish). 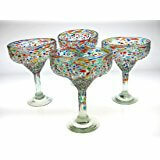 These glasses are crafted in Mexico from recycled glass. 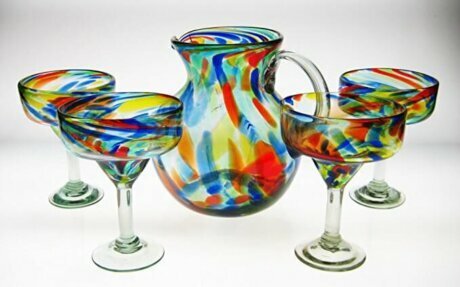 Decorated with red, green, blue, yellow and multi bands of color they coordinate beautifully with the Colorful Confetti swirl Mexican Pitcher. Image of pitcher is an example NOT included with 4 glasses. 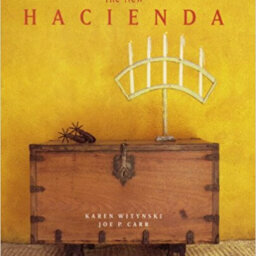 Because they are handmade dimensions and colors may vary slightly. Sturdy enough for everyday use. Mouth-blown lead-free glass. Dishwasher Safe Size: approximately 7 inches high 5 inches wide; and holds around 15 oz. 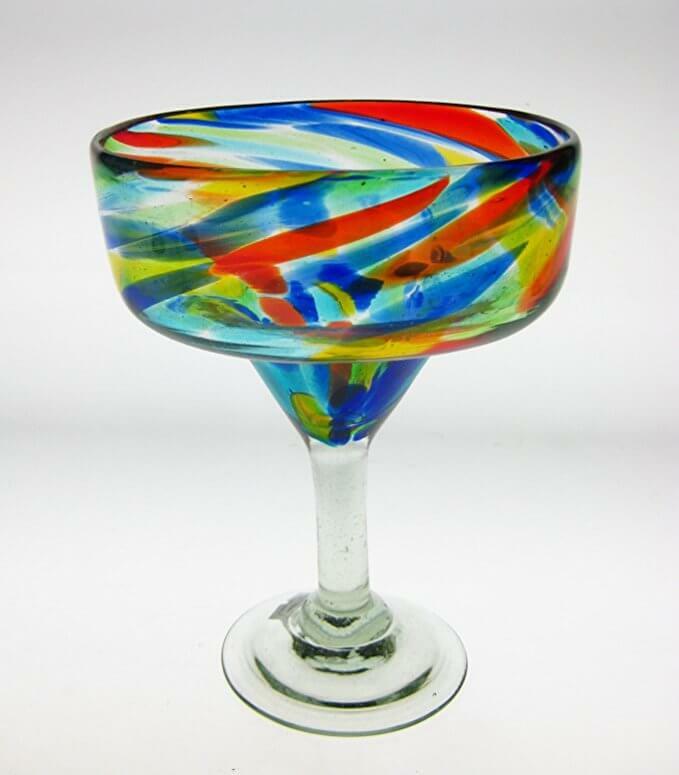 Care instructions: Our Mexican Glassware is individually mouth blown, hand formed and made from recycled glass. 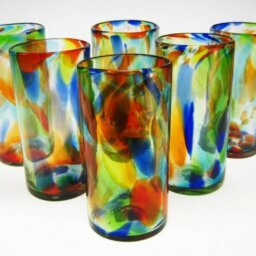 Trapped bubbles and slight variations in form, capacity and color are natural and charming features of the glassware. 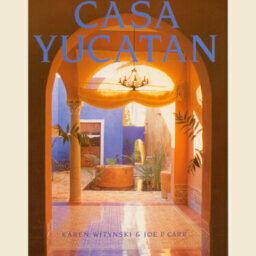 Although it is quite durable, this glass is not tempered so some extra care is necessary. A cooling-off period is essential after the glassware is removed from the dishwasher. Extreme temperature changes may cause thermal shock and cracking. This glassware is not suitable for serving hot beverages.